It takes you no longer than 10 minutes to set up the import to Logicalware customer service and start the test data transfer. We do not share any of your personal information with third parties, and additionally meticulously protect it, so nothing gets lost or stolen. 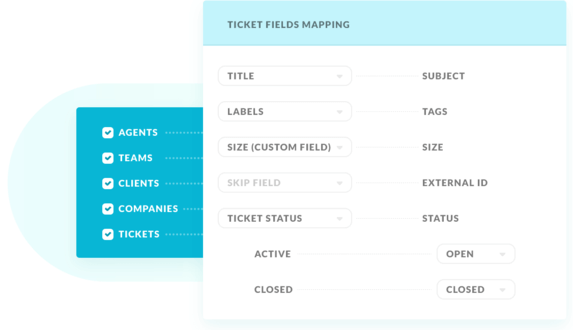 Only Help Desk Migration make it easier to automatically transition custom fields, as well as map their destination. All tickets will be imported to Logicalware customer service with their corresponding agents, contacts, and attachments, as a result, saving the previous record of customers' requests. Grant access to your Logicalware customer service account. We will analyze your application and send you with a cost and a scope of work. We consider security and safety very seriously and have built a complete set of practices , technologies , and policies to help ensure that your data is secure.